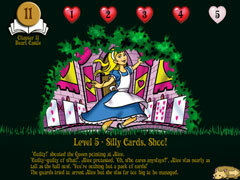 An all-new journey through Alice's Wonderland! Hours of fun await you in the wondrous world of FreeCell Wonderland. 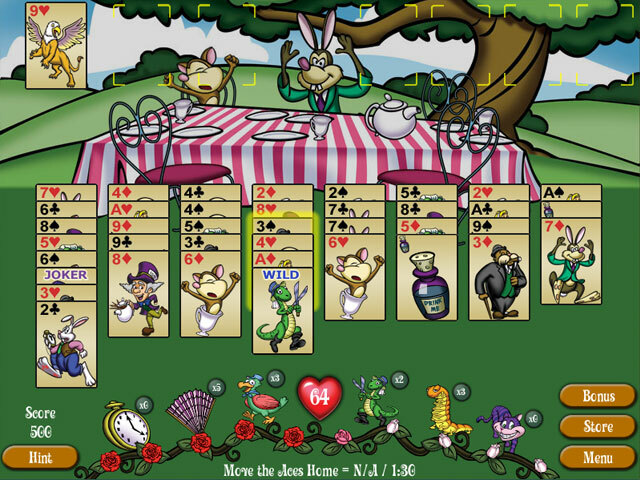 Guide Alice through the many worlds of Lewis Carroll's ‘Wonderland’ and ‘Through the Looking Glass,’ each featuring lavish backgrounds, charming characters, and exciting new twists on an old gaming favorite, FreeCell. 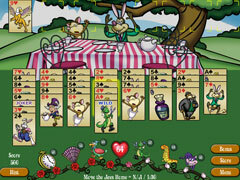 Have a cup of tea with the Mad Hatter and play his special mini games. Rescue characters before the Queen chops off their heads! 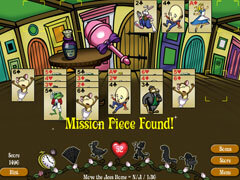 Use hearts to purchase Power-Ups, and enjoy special Missions, unique Challenges and a never-ending variety of levels.